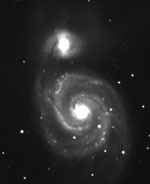 I have been interested in astronomy for more than 25 years and like most amateur astronomers I began with Emulsion-based photography. Star trails are a good starting point for beginners, followed by unguided images of the constellations using different emulsions and lenses. 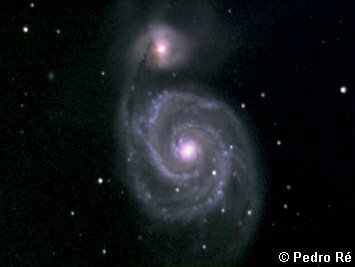 Then comes guided images, and I soon realized that an observatory and a fixed mounting were a must to achieve good astrophotographs. I tried many different emulsions such as Kodak spectroscopic films (103a-E, 103a-F, 103a-O), hypersensitized Kodak 2415 as well as several colour films for imaging the moon and planets. 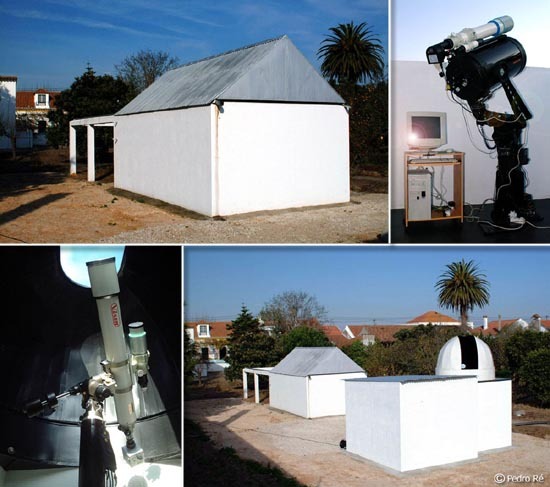 At this stage I built several telescopes that were housed in two different observatories. 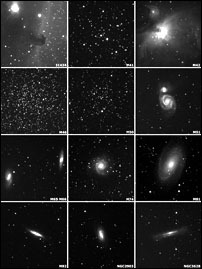 Most of the images were obtained with two Newtonian reflectors (300mm f/7.1 and 222mm f/5.8).Both had German equatorial mountings equipped with high precision gears in both axes. Good results were obtained with these instruments, but imaging galaxies and nebulae (my main targets) meant that I had to perform long exposures of several minutes or even hours. I had to overcome all the problems that arise when dealing with this (bad polar alignment, flexure of the guide scope, bad guidance...). 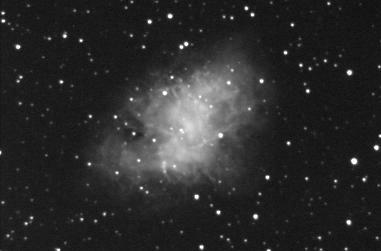 Eventually good results were obtained using emulsions but progress was slow and not many different objects were imaged. Enter the CCD revolution and digital astrophotography. 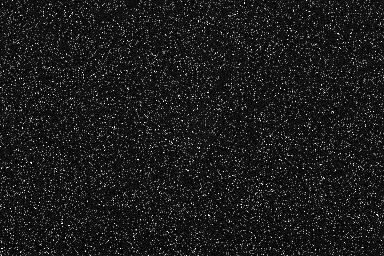 CCD cameras have been available to amateur astronomers since the late 80's with the introduction of the SBIG ST-4.CCD detectors have high quantum efficiency (they can record up to 90% of the photons that strike them, and even more in professional systems) and exhibit a very good linearity (their output is almost directly proportional to the number of incident photons- there is no reciprocity failure as found in long exposure emulsion based astrophotography). 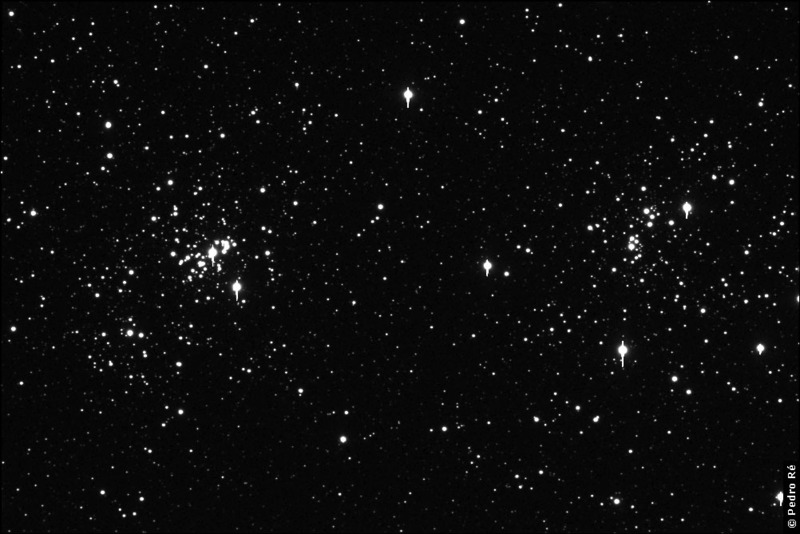 This means that images of deep-sky objects can be obtained in a few minutes and the output can be processed using standard image processing techniques. Several different types of CCD cameras are now available. Many considerations have to be taken into account when deciding which camera is the most adequate for yourspecific work. 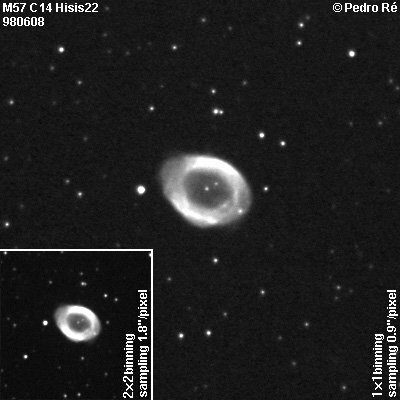 In 1994 I bought a HI-SIS22 CCD camera equipped with the new KAF-0400 chip. 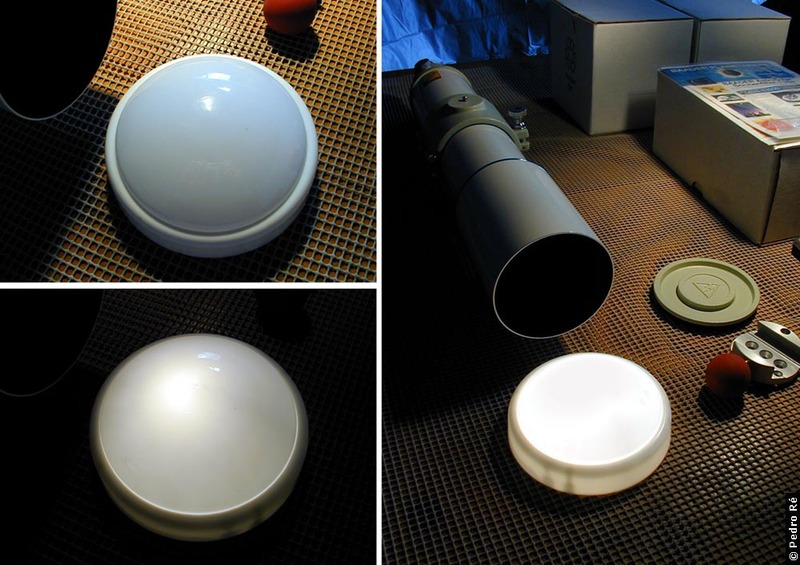 It has 768x512 pixels, 9x9 microns, which provides a 6.9x4.6 mm2 photosensitive area. I bought the version with an anti-blooming system (KAF-400L) because I was interested in obtaining results with near photographic quality (this means that sensitivity is reduced by about 30%, not a very high price to pay). This chip is of the Multi-Pinned Phase type meaning that the dark current will be 10 times weaker than other CCD's. The actual noise level amounts to only 12 electrons. A 14-bit analog-to-digital converter produces images with 16,384 intensity levels. 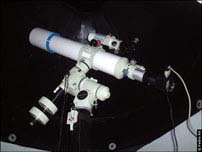 My HiSIS22 does not include a shutter as standard equipment meaning that it is not suitable for imaging the Moon and Sun (images of the planets can be obtained using the frame transfer technique). 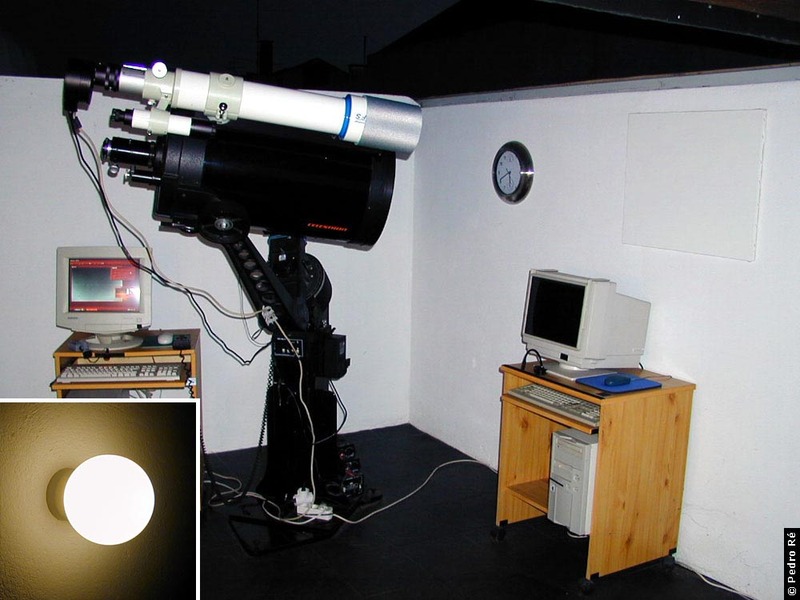 In 1998/99 a ST7 CCD camera a MX916 CCD camera and a Audine CCD camera were added. 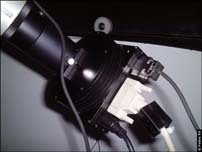 The ST-7 is a multi-purpose instrument which feature a unique two CCD arrangement in parallel.The camera head incorporates a Texas Instruments TC-211 and the Kodak KAF-0400 detector which permit simultaneousguiding and imaging thereby eliminating the need for optional guide telescopes, or off axis guiding hardware to accomplish CCDimaging. 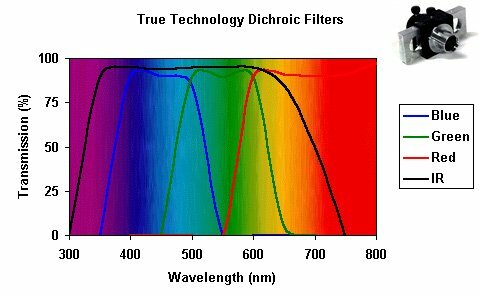 Also this eliminates any possibility of guiding errors caused by differential flexure of guide telescopes or mirror shift.Color CCD images can be obtained by composing individual tricolor RGB images. 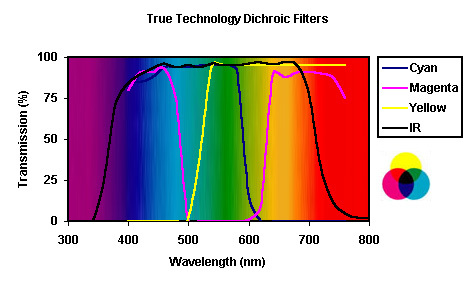 Three sets of filters are used: Wratten, True Technology Dichroic RGB Filters and True Technology Dichroic CMY Filters.RGB image of M11, RGB image of M13, RGB image of M57.LRGB images can also be obtained. LRGB uses a conventional (and in many cases low quality) RGB color image and combines it with a high quality (high S/N) greyscale imageof the same object. 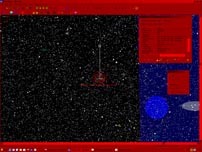 This combination is done so that only the color information is taken from the RGB image, thereby “dumping” the noiseoften present in these images. The clarity of the final product, or “luminance” (hence the “L” in LRGB), comes largely from the clear, highS/N, greyscale image. The result is a much cleaner, more esthetic image. 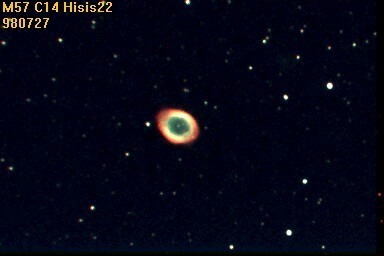 LRGB image of M27, LRGB image of M51. 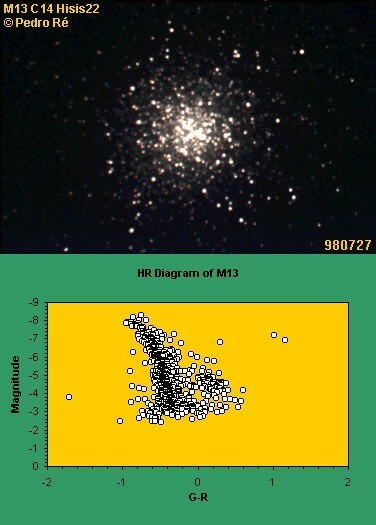 HR diagrams (M5, M11, M12, M13, M22, M80). I start an imaging session by obtaining several images that will be used for flat field correction. 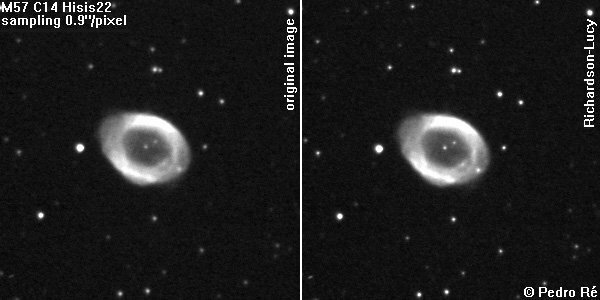 This aspect of calibration (correction of irregularities of the telescope field of view) together with removing bias and dark current are essential steps in pre-processing a CCD image. Flat field images are obtained during evening twilight. 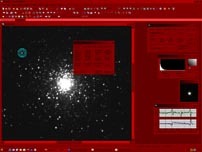 During a brief duration (not more than 30min) the telescope is pointed to the zenith and several integrations lasting from 5 to 20sec are performed on different star-poor regions. High signal to noise levels have to be achieved in all the images (a background intensity of half the dynamic range of CCD is desirable). 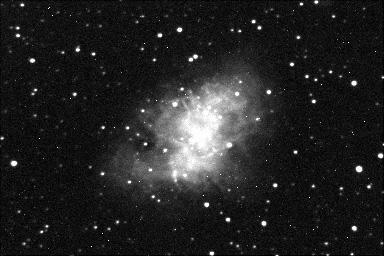 These images are averaged using a Median Sum function so that all the recorded stars disappear. 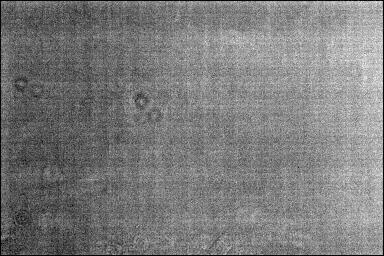 The result is a flat field image that contains the vignetting of the optical system, dust on filters and optical window of the CCD, variation of quantum efficiency of pixels. 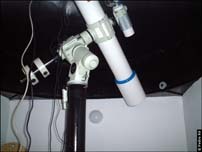 The CCD camera has to be close to focus and its position (orientation) cannot be changed during the imaging session. 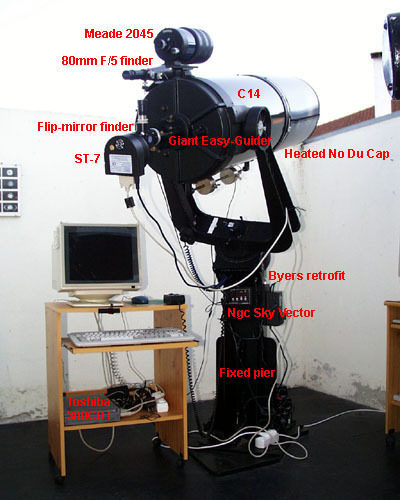 Just like the film in emulsion-based astrophotography the CCD has to be precisely placed at the telescope focus. CCD focussing is based on the sharpness of stellar images. 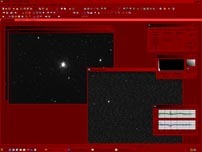 I usually use a screen with two holes that is placed in front of the telescope and by trial and error an approximate focus can be obtained when instead of two stars images only one disk is recorded. Focus can then be refined using different functions of the software used for controlling the camera. 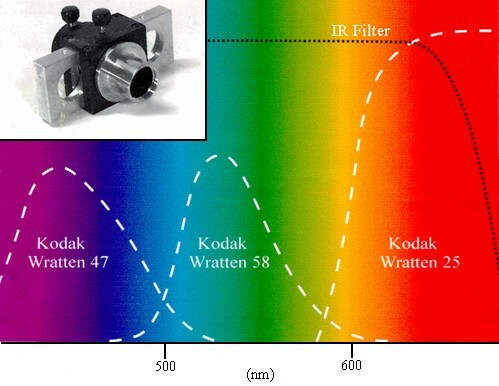 This is a crucial aspect of CCD imaging. 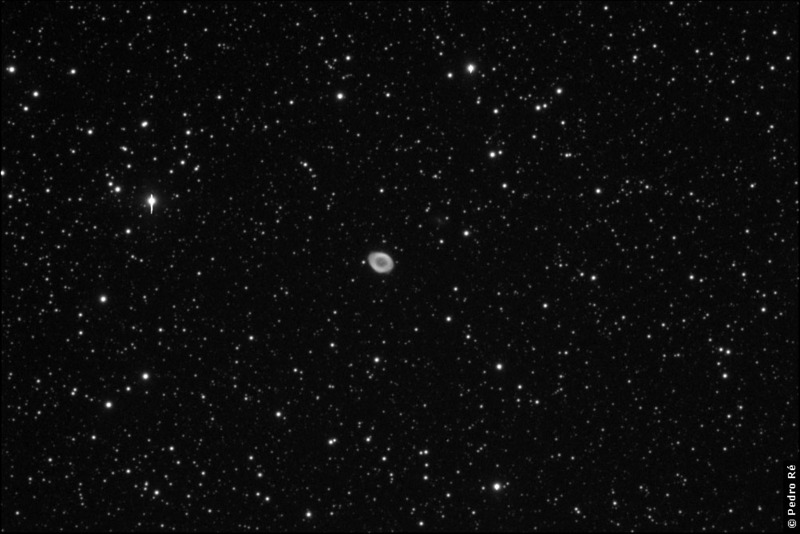 Good CCD images can only be obtained when the target is in focus. In instruments with high F/D ratios focus can change during an imaging session (focus should be checked 2 to 3 times during the night). 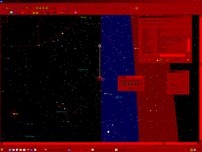 Integration times of deep-sky objects are usually restricted to 1 to 5 minutes (normally 2 or 3 minutes). This means that I never manually drive my exposures (the drive is accurate enough to follow the stars without any correction). 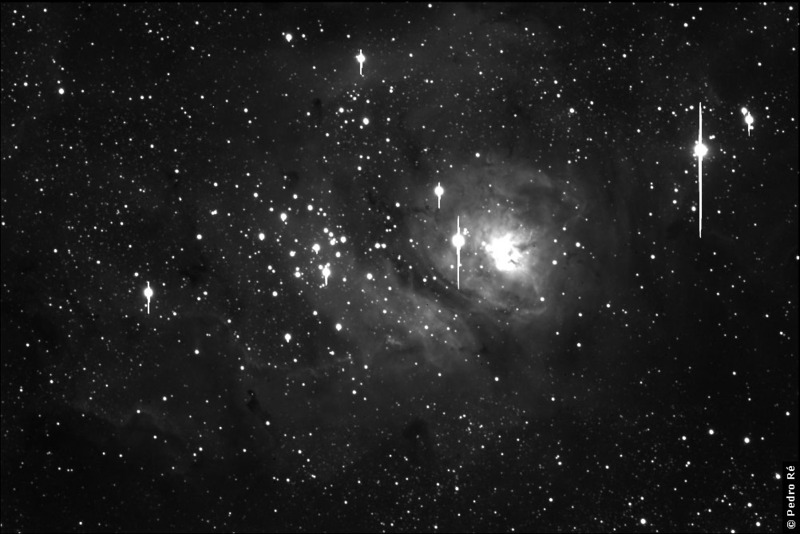 I usually take about five 2 minute exposures of each galaxy/nebulae and one 1 to 5 minute exposures of each cluster. Final images are usually obtained by registering each individual image and adding them using Sum or Median Sum functions. As mentioned before the HiSIS22 CCD camera I use does not have an electronic shutter (this is performed manually by placing a black cardboard in front of the telescope or using the flip-mirror-finder by placing the mirror in the up position after the end of the integration time). 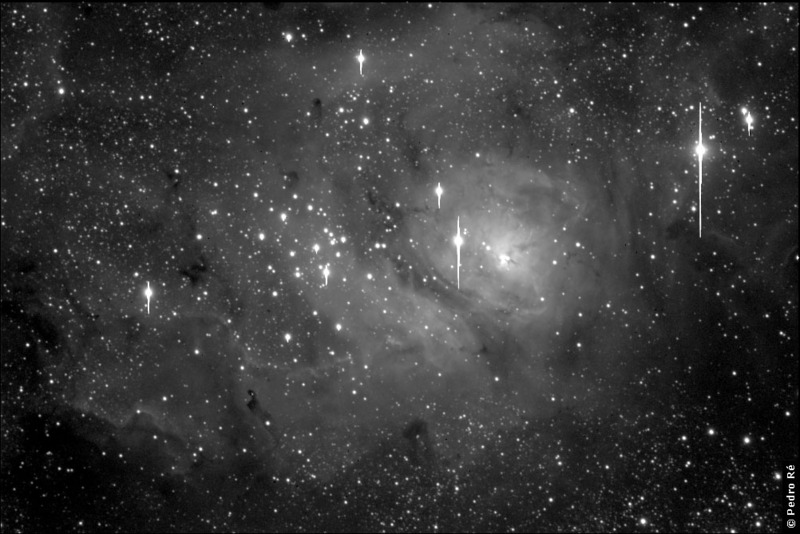 I normally operate the camera using 2x2 binning (384x256 pixels) for acquiring deep-sky images. 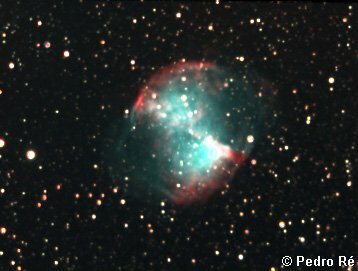 The camera can also be operated at 1x1 binning (768x512) for imaging the deep-sky with excelent results. 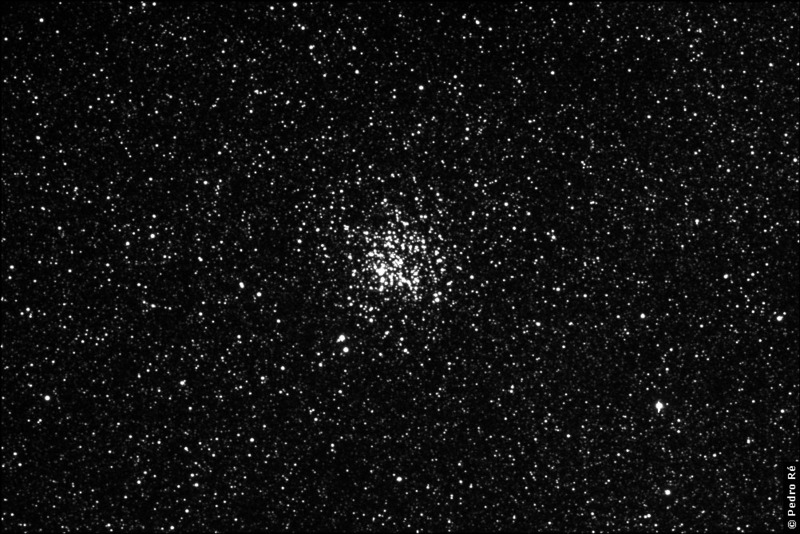 Using this system stars of 20 magnitude can be easily recorded with the C14 (f/6 with focal reduction using a Giant Easy-Guider from Lumicon) and a 5min exposure. Using the same integration time the Mead2045 (100mm f/6.3 also with a focal reducer) records 18 magnitude stars. 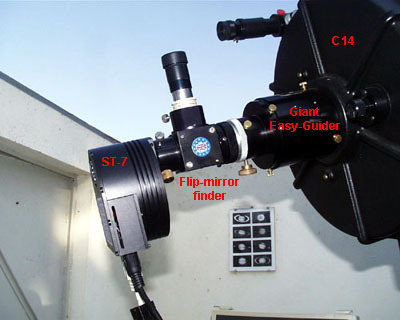 A flip mirror finder is very useful to locate the targets and for placing them quickly at the centre of the chip (11x7 arc minutes covered by the C14). Targets are also located using a Lumicon Ngc Sky Vector. The most basic steps in pre-processing a raw CCD image involvesubtracting bias and dark frames anddividing by a flat field frame. 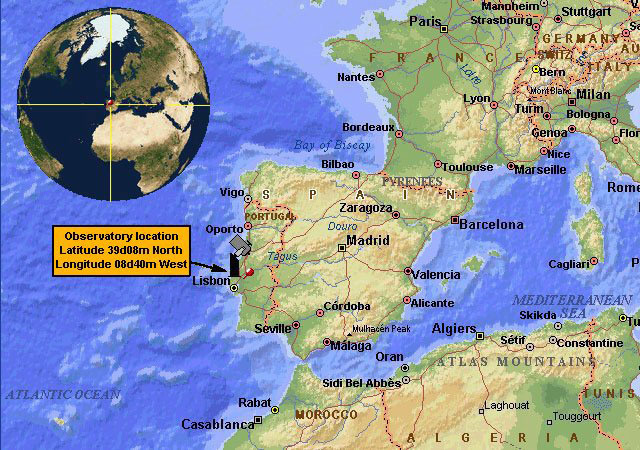 The result is a pre-processed or calibrated image. 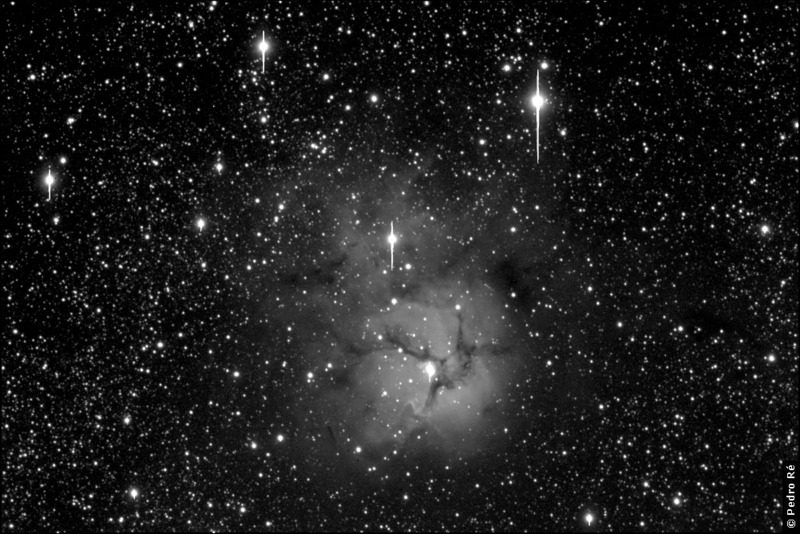 Individual dark and flat fielded frames or calibrated images can be added or averaged forbetter results.I use the "master dark technique". 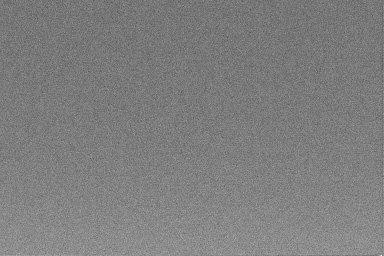 This technique assumes that the rate at which dark current accumulates in each pixel is a linear function of the temperature in such a way that dark frames for different temperatures can be made by linearly scaling a "master" dark frame. The master dark is created by averaging (Median Sum) several darks (7 to 10) obtained at the end of the imaging session (images obtained in total darkness with integration times 50% superior to the raw images) and subtracting a bias frame (median sum of 5 to 10 "images" obtained in total darkness with a minimum integration time). An IBM PS1 (486 DX33Mhz) computer (8Mb Ram) is used during the imaging sessions. The software used for controlling the HiSIS22 as well as for pre-processing the images is Qmips, WinMips and Qmips32 (provided with the camera). For post-processing the images I normally use Mips (2.0) and Qmips32. 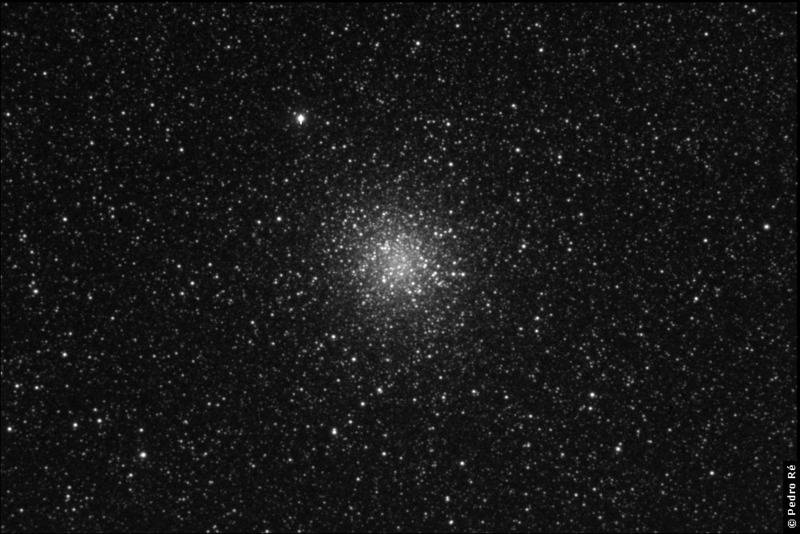 Most of the times I only use functions like logarithmic scaling and unsharp masking (post-processed image of M1). These two programs can also be used for image restoration in order to increase the definition of the originalCCD image. 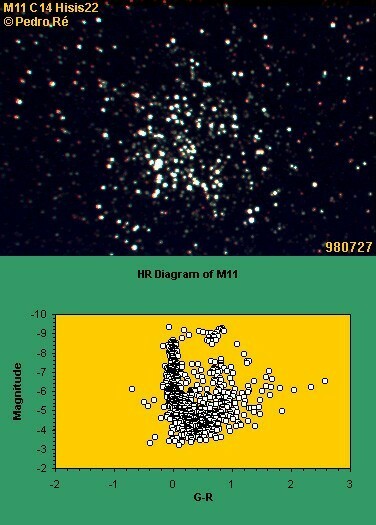 Based on my experience I would recommend using the Lucy-Richardsonand Van-Cittert algorithms for treating images of galaxies and nebulae with medium to high signal to noise (M51, M57) and Maximum Entropy when the signal to noise is low. The Wieneralgorithm also performs rather well in both cases. 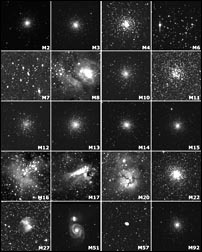 The amount of detail that can be obtained using these techniques is surprisingly high mainly in emission nebulae and galaxies (in most cases a total number of 15 iterations should be used). 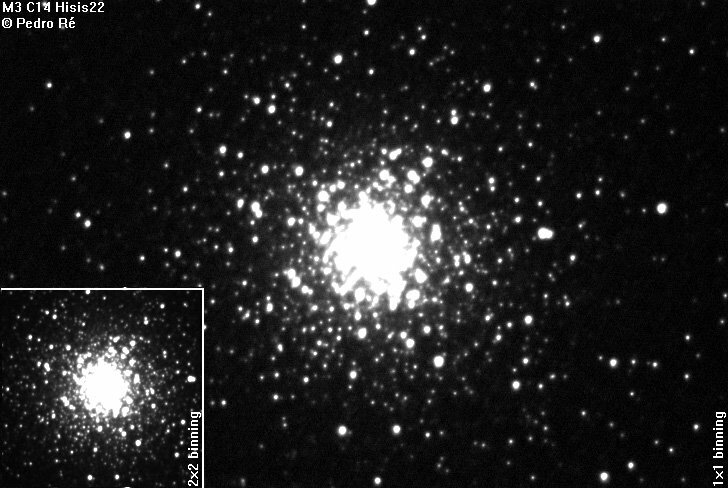 In the case of open and globular clusters unsharp masking seems to produce the best results. 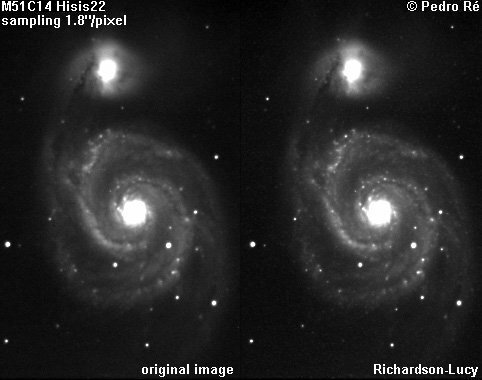 Image restoration techniques can improve the apparent sharpness of a CCD image by two to three times, meaning that medium size telescopes will perform like big telescopes see image restoration. Click on images for full-sized view. Takahashi FS102, SBIG ST-7 CCD camera. 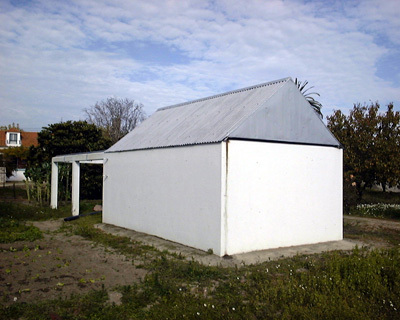 White screen used for acquiring flat filed images. 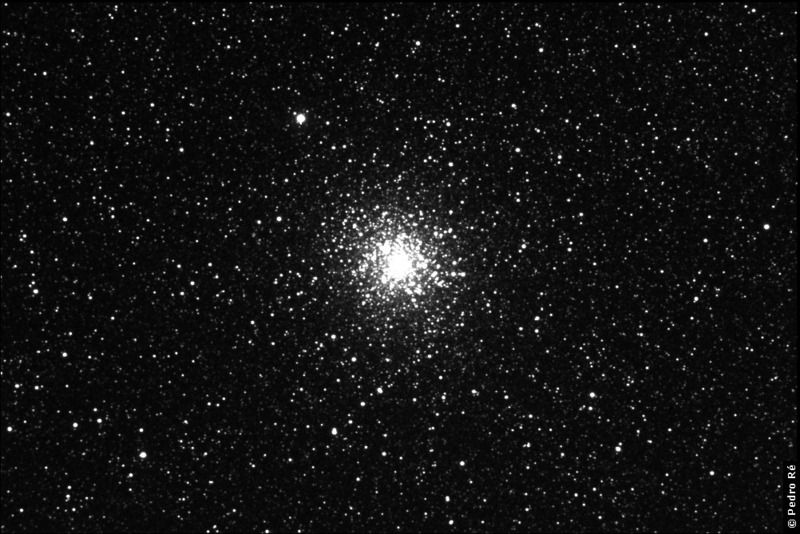 Acquiring flat field images (Maxim DL/CCD). 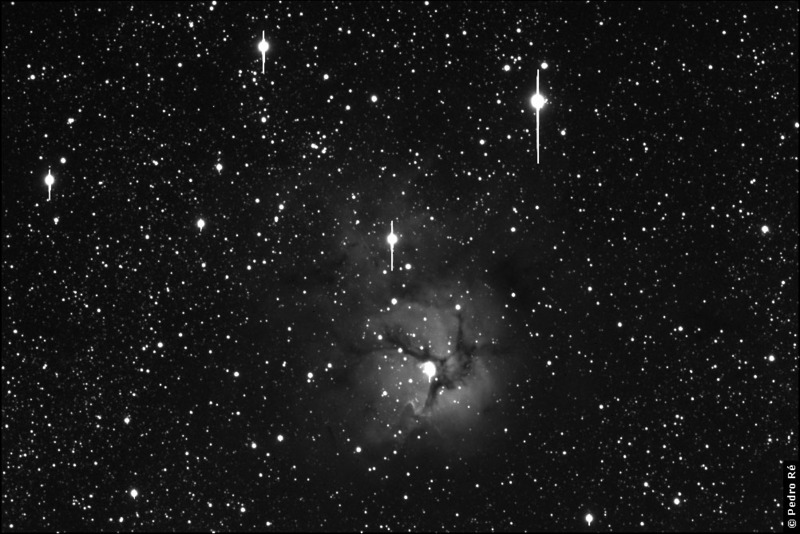 Acquiring a flat field (Takahashi FS102 + ST-7). Centering a target (2x2 binning) (Maxim DL/CCD). 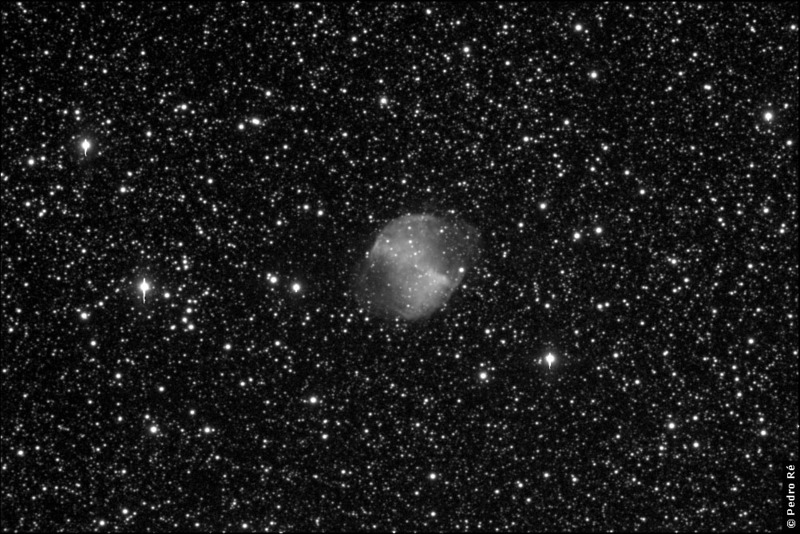 Acquiring a raw image (1x1 binning) (Maxim DL/CCD). 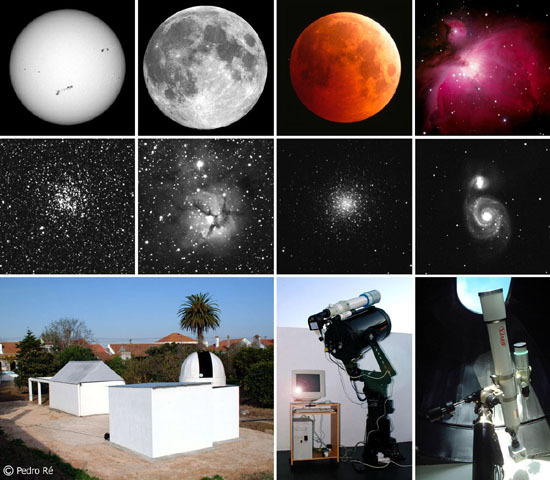 Summer imaging session (Maxim DL/CCD). 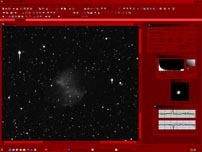 Winter imaging session (Maxim DL/CCD). Takahashi FS128, SBIG ST-8E CCD camera, EM-200 equatorial mount. Takahashi FS128, SBIG ST-8E CCD camera, EM-200 equatorial mount. Acquiring flat field images (Maxim DL/CCD). 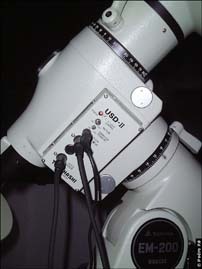 Maxim DL/CCD (CCD image calibration). 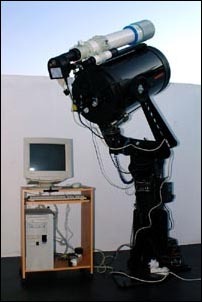 Maxim DL/CCD (Setup image acquisition sequence).